Kleber Mendonça Filho's Aquarius and the Elis Regina biopic Elis by Hugo Prata were the top winners at the 6th edition of the Grande Prêmio do Cinema Brasileiro, which were presented by the Brazilian Film Academy last Tuesday at a ceremony in Rio de Janeiro. Aquarius was the winner of three awards, for Best Brazilian Film, Best Director and Best Soundtrack, while Elis, won in eight categories, out of 12 nominations. Without surprise the Best Actress award was given to the much acclaimed performance of Andréia Horta as Elis Regina, confirming the Academy’s predilection for familiar characters in the acting categories. 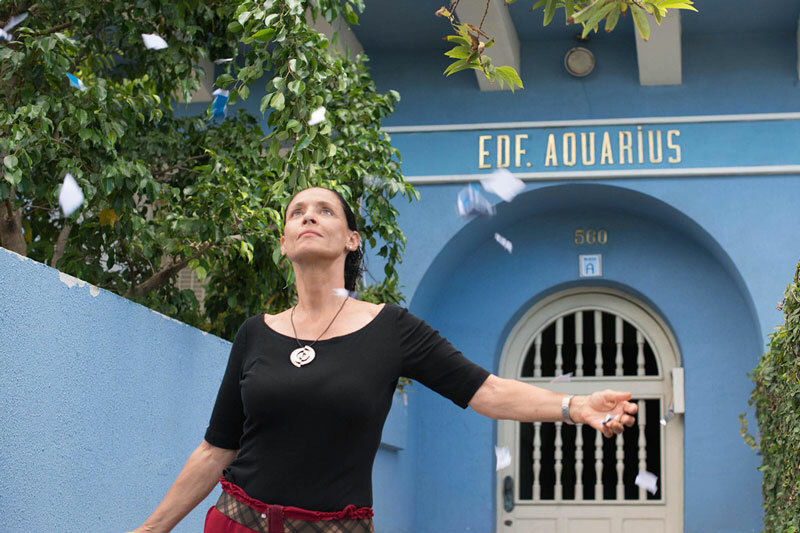 Horta won over Sonia Braga of Aquarius. Elis wins were mostly in the technical categories, including Editing, Production Design, and Costume Design. In the Cinematography category there was a tie between Elis and Neon Bull / Boi Neon by Mexican DP Diego García. Gabriel Mascaro's Neon Bull, awarded at the Venice and Rio film festivals, was the winner of the Best Actor Award for Juliano Cazarré’s outstanding performance as Iremar, and the Best Adapted Screenplay Award (shared with the comedy BR716 by Domingos Oliveira), in addition of being crowned with the Audience Award for Best Film in the popular vote category. In the Documentary category the two leading nominees, Cinema Novo, directed by Eryk Rocha, the talented son of the the incomparable Glauber Rocha, and Belisario Franca's Menino 23 - Infãncias Perdidas No Brazil, which uncovers child slavery and racism during Brazil’s dictatorship, shared the Academy prize, but Menino 23 was the public's choice for the Audience Award for Best Documentary.